While being the world´s largest coffee producing country, Brazil´s family coffee growers reach only a fraction of the production levels of large farms. But they are the backbone of the Brazilian coffee culture and the real inventors of the famous “cafezinho”, the sweet small dose of coffee that farmers use to start a friendly conversation with. Hanns R. Neumann Stiftung do Brasil is active in the Minas Gerais state. Our approach became well known under the name “Força Café” related with the local name Fortalecimento da Cafeicultura Familiar. 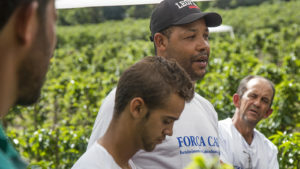 Since 2007 “Força Café” empowers farmers and helps them to better manage their farms. 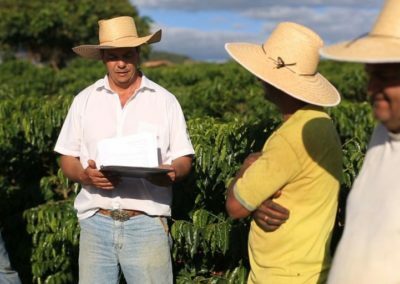 We strengthen producers and producer communities by helping them to raise income through increased production, lower production costs, improved coffee quality and better market access. Through the annual Força Café Coffee Championship participating farmers showcase their best products. In 2017 winning lots could market their coffee by up to 80% above the common market prices. 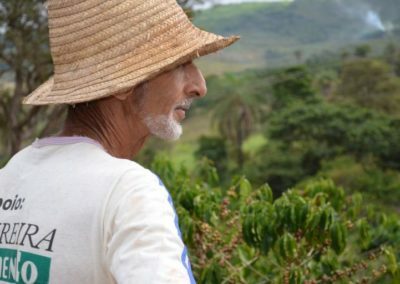 HRNS do Brasil is supporting coffee farmers in Climate Smart Agricultural Practices. 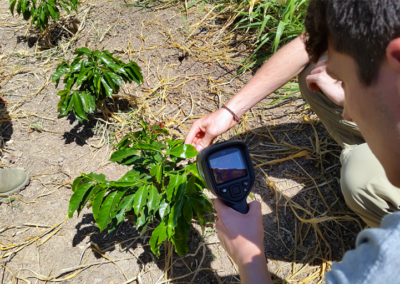 Through the initiative for coffee&climate, we are training farmers and qualify third parties to implement climate change adaptation and mitigation practices. HRNS do Brasil is deeply rooted in the local landscape of active players from the private and public coffee sector. 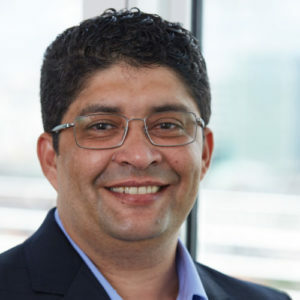 Our Team in Brazil is highlighting the achievements on their own blog.